RUPES BigFoot Coarse & Fine 100 mm Microfiber Polishing Pad Mix & Match 12 Pack lets you pick and choose one dozen coarse and/or fine microfiber cutting and polishing pads. 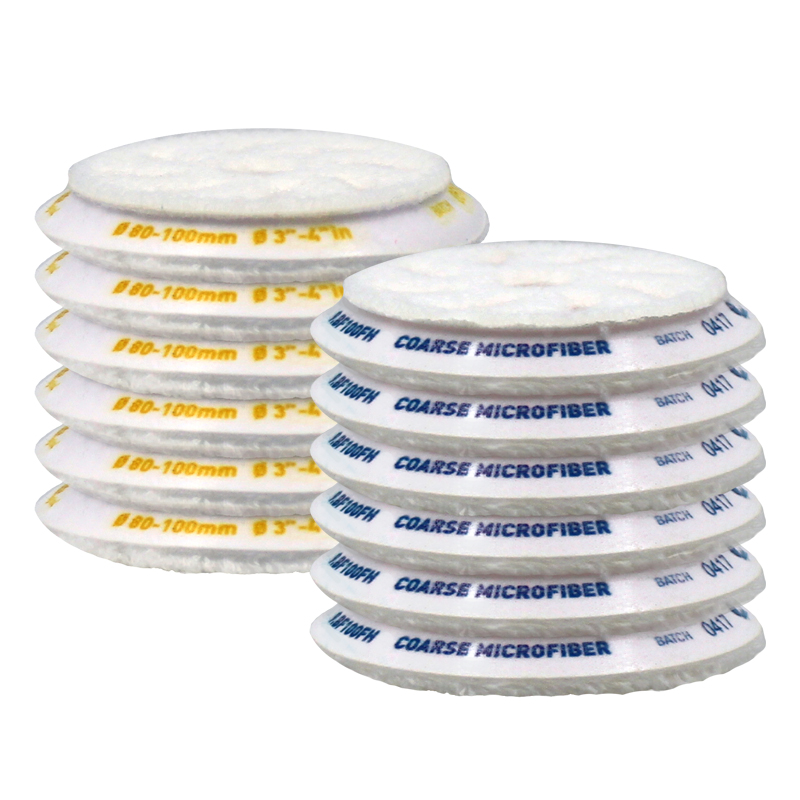 The advanced technology microfiber filament of the RUPES BigFoot Coarse & Fine 100 mm Microfiber Polishing Pads were designed for efficient results in less time for a better polishing experience. The RUPES BigFoot Coarse 100 mm Microfiber Polishing Pad can get into tight or small areas and remove heavy swirl marks, oxidation, scratches, and water etching due to its aggressive cutting capabilities when used with RUPES BigFoot Zephir Gloss Coarse Polishing Compound. RUPES BigFoot Fine 100 mm Microfiber Polishing Pad removes minor swirl marks, while restoring depth in shine and color with its light cutting and polishing capabilities when paired with RUPES BigFoot Keramik Gloss Fine Polishing Compound. 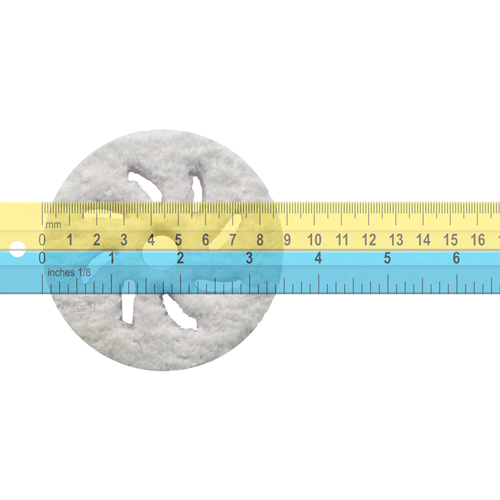 To help you with identification, RUPES BigFoot Polishing Pads are marked on the edge of the polishing disc with either "COARSE MICROFIBER" in blue or �FINE MICROFIBER� in yellow. Its Your CHOICE, Mix & Match Twelve RUPES BigFoot Coarse 100 mm Microfiber Cutting Pads or RUPES BigFoot Fine 100m mm Microfiber Polishing Pads! RUPES BigFoot Coarse 100 mm Microfiber Polishing Pad: Heavy cutting pad, will remove swirl marks, oxidation & scratches. RUPES BigFoot Fine 100 mm Microfiber Polishing Pad: Light cutting pad, will remove light swirl marks and restore clarity to create depth in shine. RUPES BigFoot Microfiber Polishing Pad Care: RUPES BigFoot Microfiber Polishing Pads should be cleaned often during use RUPES BigFoot Claw Pad Removal & Cleaning Tool, to dislodge dried polishing compound. 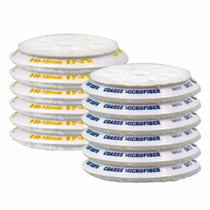 RUPES BigFoot Microfiber Polishing Pads should be air dried or machine dried on a delicate cycle with low or no heat. Dryer sheets should not never be used.